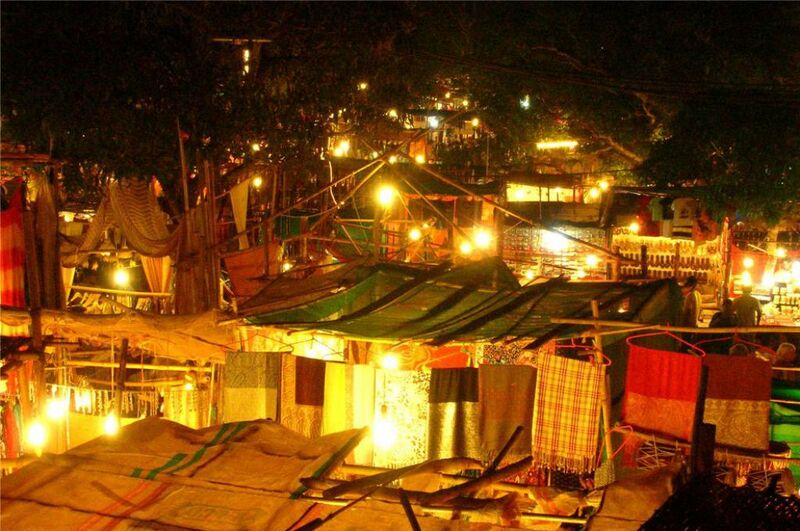 This sprawling market is located in Arpora and transpires every Saturday evening from 6pm until late night. Here, one may find everything from archetypical Indian stalls selling spices, teas, Kashmiri carpets and silver jewellery to international designers who convene from all over the word to sell their unique creations, many of which may be found only here. This market also houses food stalls featuring cuisines from across the globe, and the centre stage that hosts live concerts featuring Rock to Indian Classical. Further up the hill, is “The Boutique House Bar” that serves delightful cocktails (try the fresh strawberry Daiquiri) while DJs play late into the night.